Whether dormant bacteria begin to reproduce is no accidence. Rather, they are simply waiting for a clear signal from a single protein in the cell interior. ETH researchers have now deciphered the molecular mechanisms behind this. Bacteria are capable of extremely rapid growth, but only when the conditions are right. If they lack nutrients, or if it is too cold or dry, they will enter a dormant state to wait it out. Until now, the question of how individual bacterial cells decide whether to divide has generally been studied using populations that are happily growing. But to date nobody has been able to say what it is that prompts a dormant bacterium to wake up and start dividing. Now Uwe Sauer, Head of the Institute of Molecular Systems Biology at ETH Zurich, and his team of researchers have solved this mystery. 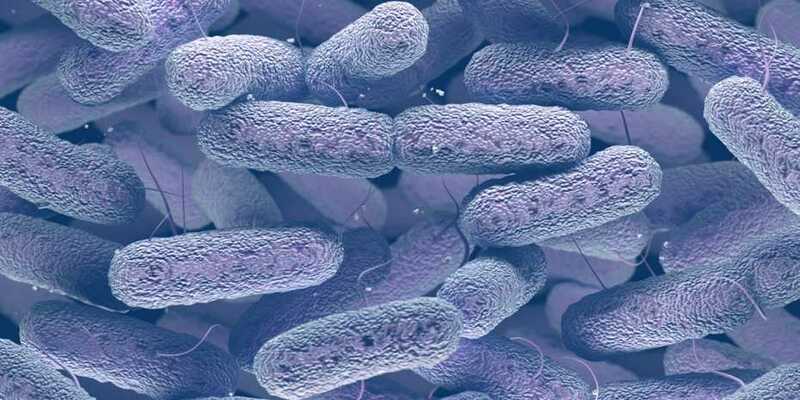 They studied the gut bacterium E. coli to find out what drives a cell’s decision to divide for the first time. Surprisingly, the answer lies with a single protein in the interior of the bacterial cell: only when the concentration of this protein rises above a certain threshold will the cell divide. Based on their findings, the researchers developed a mathematical model. “Now, for the first time, this model makes quantitative predictions of when cell division will commence,” Sauer says. Their study was recently published in the journal Molecular Systems Biology . To understand this mechanism, the researchers first caused the E. coli bacteria to become dormant by starving them of nutrients. Next, they fed the cells with tiny droplets of glucose solution, which the bacteria lost no time in devouring: within seconds, their metabolism sprang into action. To demonstrate this, the researchers used a method developed in Sauer’s lab that allows simultaneous real-time measurement of hundreds of metabolic products. Their analysis showed that it took the bacteria an astonishingly short time to turn the glucose they were fed into new biomass, including amino and nucleic acids of the kind that subsequently make up proteins and DNA – the prerequisites for forming new cells. Bacteria that are already in a growth phase will continue to divide as long as sufficient new biomass is present. But it was a different story with dormant cells: giving them the nourishing glucose drops every ten minutes caused them to produce more and more biomass over time, but they still didn’t divide. Only when the researchers reduced the time interval and fed the cells every four minutes did cell division occur, albeit after one hour. Speeding up the feeding rate to once every minute had the effect that cell division commenced almost immediately. “It wasn’t the total amount of sugar that was decisive, but rather the feeding frequency,” Sauer says. This led the researchers to suspect that the cells were turning the glucose into a key protein, but that this protein was being broken down in the time between feeds. Only when glucose is provided at sufficiently frequent intervals is more of the protein produced than broken down, allowing the cell to divide. To test their hypothesis, the researchers combed the scientific literature for proteins that play a role in cell division and are broken down by the cell’s own proteases. This is how they tracked down the protein FtsZ, which forms a ring during division that helps a cell split into two daughter cells. Together with Professor Roman Stocker from the Institute of Environmental Engineering at ETH Zurich and Professor Suckjoon Jun from the University of California, San Diego, the researchers were able to demonstrate that FtsZ really is broken down in E. coli cells and that its concentration diminishes during periods of starvation. It turns out that this was indeed the key protein the researchers were looking for, because artificially accelerating the breakdown of FtsZ delayed the onset of cell division. In contrast, when the researchers used genetic methods to make the cells produce more FtsZ, those cells started dividing sooner. “This is how we showed that the concentration of FtsZ is the decisive signal for cells to begin dividing,” Sauer says. In his opinion, these new findings not only serve to further basic research, they might also form the basis for specific applications: FtsZ is present not just in E. coli but in almost all species of bacteria, including pathogens such as Mycobacterium tuberculosis. “If we want to prevent dormant bacteria from beginning to divide, then FtsZ is a good point of attack,” Sauer says. For some years now, several laboratories have been conducting research into substances that accelerate the breakdown of FtsZ, which makes them promising candidates for new antibiotics.